You all MUST go and read this wonderful post - "Food from Fiction - Voyager by Diana Gabaldon" on IslandVittles.com. You won't be sorry. You can almost taste the food right there at your computer. Seriously. 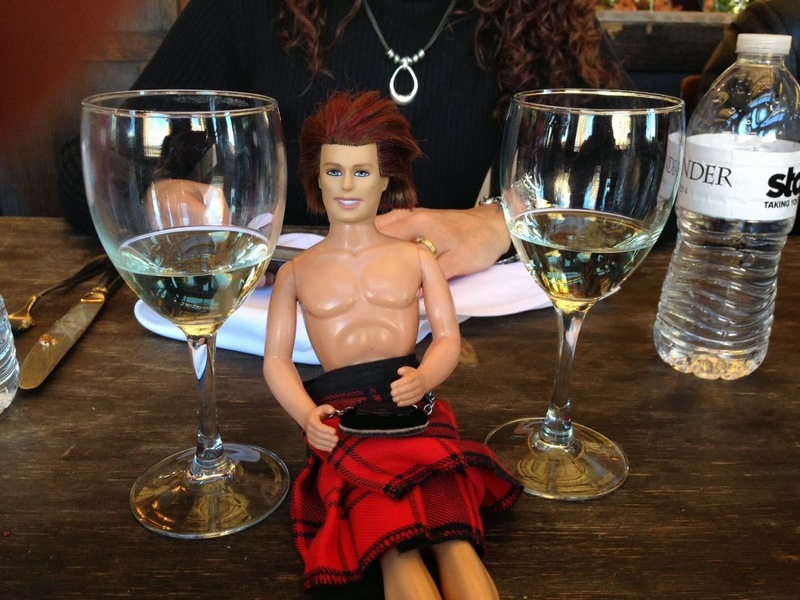 And who can resist a little Jamie and Claire dinner conversation?! Not me!! Hi Theresa!! Great article! Tried to respond to your Twitter DM but you have to follow me first :-) Don't know if you know that DG linked to your article as well--also, it's up on Compuserve, so expect a lot of hits! As for the recipe, it looks really interesting! I've actually been curious to try quail, and we have a gourmet grocer right in town that sells it. It's too bad I didn't see the recipe last week--I would have serve these at our annual holiday party. Make 'em so they're half the size, and they're like really upscale teenie weenies (as Carol and I like to call pigs-in-a-blanket).